Have you heard of the Hippocratic oath? It’s an oath that new physicians take when they graduate. 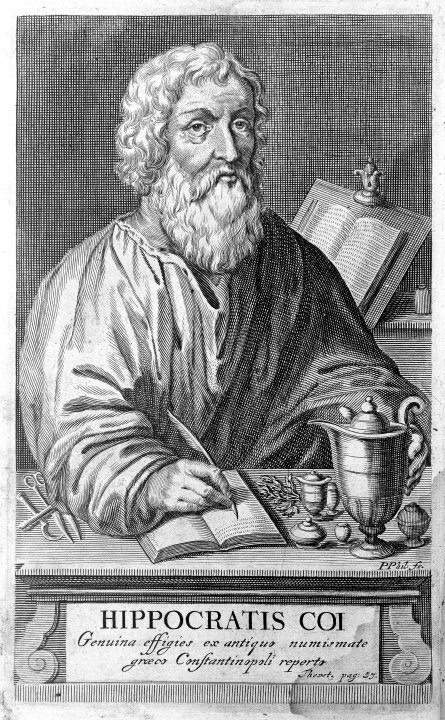 Hippocrates made his students swear “by Apollo The Healer” and other cool gods with healing powers that they would uphold ethical standards when they practice medicine. Although not used in its original form anymore, the oath new physicians take today has the same message as the original Hippocratic oath: Do not harm. I could never become a physician. The cost of a mistake is just too high. Imagine, I had to operate before I had my coffee! Thankfully, online entrepreneurs are not physicians. Nobody will die if you break a link or write a boring blog post. Well, maybe a part of them will die inside, but it certainly won’t be fatal. But do you know what you and a physician have in common? For a physician, it’s the patient. For you, it’s your business website. Do not harm the goals you set for every page of your business website. Do not harm user experience. Do not harm your credibility. Do not harm your SEO. You know what I do when I read yet another article about what you should have on your website? Additionally to my good old BS filter, I use my “goal strainer”. I pour all of this “15 awesome ways that will make you king of the world” advice in it (like pasta!) and see what falls through and what’s left at the end. A “download this free ebook” in-your-face pop-up. Does it provide value (to them, not to you, in this particular moment)? Or does it interfere with their train of thought, annoying and distracting them? The prominent follow-me social icons. Do they help to keep your visitors on your site longer? Or do they lurk them away, in the tempting world of new shoes, cat memes and cake recipes? Three different call-to-action buttons on your page. Do they guide your visitors towards that one thing you want them to do? Or do they overwhelm and confuse? Every element of your website, existing or new, should be checked against this principle. Is it helping my visitors to do that one thing I want them to do on this page? For example, to click this button, to subscribe, to read till the end, or simply stay longer on your website. This is not as easy of a question as it seems. For example, if you want everyone who reads your blog post to subscribe to your newsletter, a pop-up with a subscription form might seem like a great choice. Isn’t a huge in-your-face subscription form a great motivation for your readers to hand you their email addresses and swear their loyalty to you forever? Suddenly, it has all their attention, and they are doomed to stare at it forever unless they click it away. So it must be helping you achieve your goal and get their email address, right? The truth about readers, who are – mind you – not an abstract concept but also people, is that they don’t care about your goals. “Let’s grow this guy’s email list”, said no website visitor ever. They don’t even know you. They came to your website with their own agenda: To buy stuff, to learn something new, to have a laugh. And right now, your pop-up – even if it’s offering them the greatest free ebook ever written – is in the way. That’s why you need to keep a balance between the goals of your visitors and your own goals. Dare to put your goals before theirs, and off they go, closing the browser tab to never return. So if the answer to the main question – whether something is harmful to your business website – is not obvious, break it down into these 5 smaller questions. 1. What did my visitors come to this page for? For example, find an answer to their problem (if it’s a blog post), learn more about your services (if it’s a service page), buy something. 2. Will this new element interfere with my visitors’ intentions? Will this pop-up annoy them? Will this ad interrupt their train of thought? 3. Can they easily read everything? Mind the contrast between your background and font color, font size, too many images, visual overload in general, etc. 4. Is my message clear? Choose your words carefully. Make important information easy to find. Anticipate the questions your visitors might have and answer them fast and in a clear way. 5. Am I pulling my visitors’ attention in a wrong direction? Is there anything that draws their attention to a wrong element that has nothing to do with the main goal of this page? For example, too prominent social follow-me buttons, image carousels, too many calls to action, etc. Although why wait for next time? Go to the most important page of your website. Ask yourself: “What goal am I trying to achieve with this page?” For example, for your visitors to read till the end, leave a comment, buy, sign up. Look at every element of that page: Colors, fonts, text, buttons, images. Are they all working towards that one goal? Or is there anything that distracts and annoys your readers, or even damages your authority or credibility? The easiest way to make something work better is to fix its broken parts. Capitalize on the efforts you’ve already invested when you created all that content before you go on creating new things. Patient (visibly upset): Doctor, but you took the Hippocratic oath in college! Doctor: I took a lot of things in college! 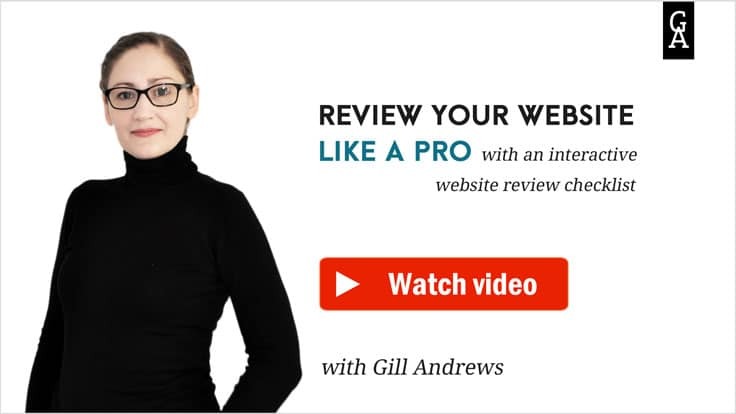 Gill–I so much agree with you on popups! Nothing drives me from a site like an aggressive popup. I have yet to meet anybody who likes them. 80% of the people I polled on FB say they click away from sites with popups. It’s like a guy standing outside the supermarket, refusing to let you buy groceries until you give him personal information. How long would that store stay in business? Especially if there’s a more welcoming store across the street? It’s a crazy thing that needs to stop. Hi there, Anne 🙂 It’s a paradox isn’t it? Website visitors say they hate them, but then they put their website owner hat on, and suddenly think it’s a good idea! b) owners of websites with huge traffic who don’t care about people their popups drive away because the 3% of visitors who opt in still mean a lot of subscribers. The good news is though that as far as I can judge from the websites I’ve reviewed last year and what I’m seeing this year, fewer small business websites are using interstitials. Yet, many major website still stick to their popups (sometimes even several on one page). I agree with you. The best we as website visitors can do is to not visit those websites again and not share their content hoping that their website statistics will deliver the message.